Dress your dog in the height of retro fashion. While your standard, ugly dog collars are everywhere, stylish, original collars are harder to come by. 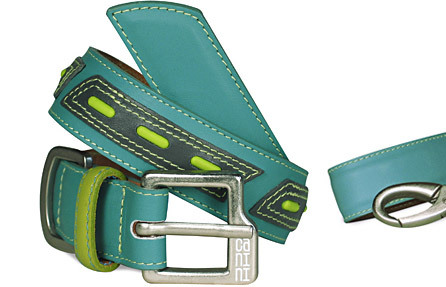 That means your favorite dog-loving friends will grin with delight when you give them the Sea Green Verve Dog Collar ($43). With this slightly retro collar around her throat, your friend's dog is going to feel like the hippest pooch in the park.